Magnetic fields can crack like a whip. If you shake the handle of a whip, a wave travels along the whip, increasing in speed until it snaps at the end. The energy of that initial shake can only move along the whip, hence the motion of the wave. In a similar way, the jets of a black hole can shake like a whip due to magnetic fields interacting with the plasma of the jet. When jets of ionized plasma interact with magnetic fields, transverse waves can travel along the ionized jet similar to the way waves travel along a whip. 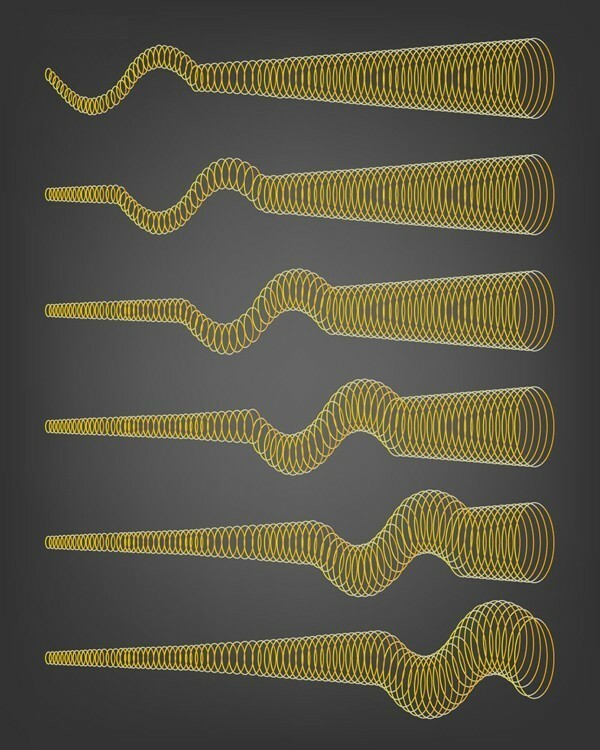 These transverse waves are known as Alfvén s-waves. 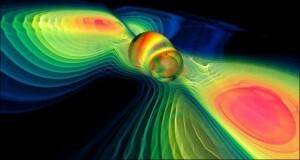 As the black hole wobbles, the energy of the oscillations most easily travel along the jet, producing these waves. In a recent paper in the Astrophysical Journal, these Alfvén waves have been observed. In the paper, they are referred to as superluminal Alfvén waves, because they appear to travel faster than light. That doesn’t mean the waves actually are breaking the light barrier. Their superluminal appearance is actually a well known effect due to the fact that the waves are traveling near the speed of light with the jet pointed mostly in our direction. The light from the base of the jet takes much longer to reach us than light from the end, so the waves appear to travel faster than light. What’s important about this work is that it allows us to better understand the complex interactions of astrophysical plasmas, which (despite what some claim) astrophysicists have been studying for quite some time.